For wedding photographers, nothing is more important than using gear that is both portable and easy to use. 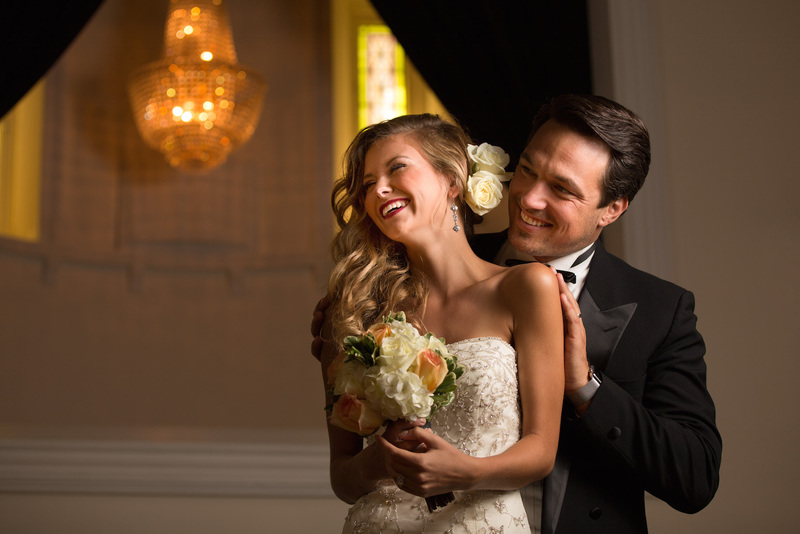 Wedding photographers are constantly on the move and always need to be ready to capture those special moments. Unfortunately, a lot of user and travel-friendly gear is pretty expensive. 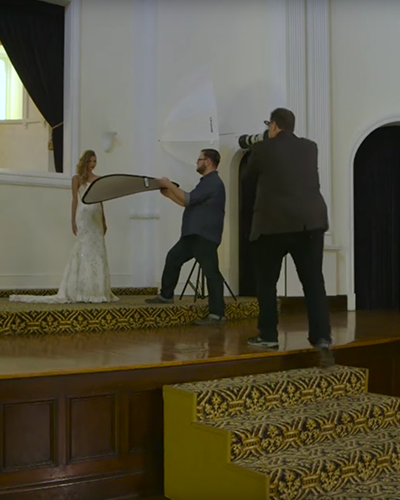 In this video, Scott Kelby captures beautiful wedding photography with gear that is portable, easy-to-use, AND surprisingly affordable. For this shoot, Scott selects a 7-foot diffusion umbrella and a single off-camera flash. 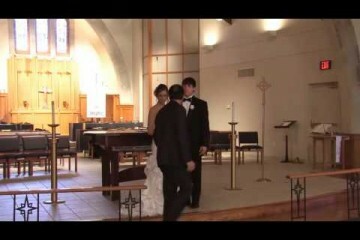 This large umbrella is extremely versatile when shooting weddings. 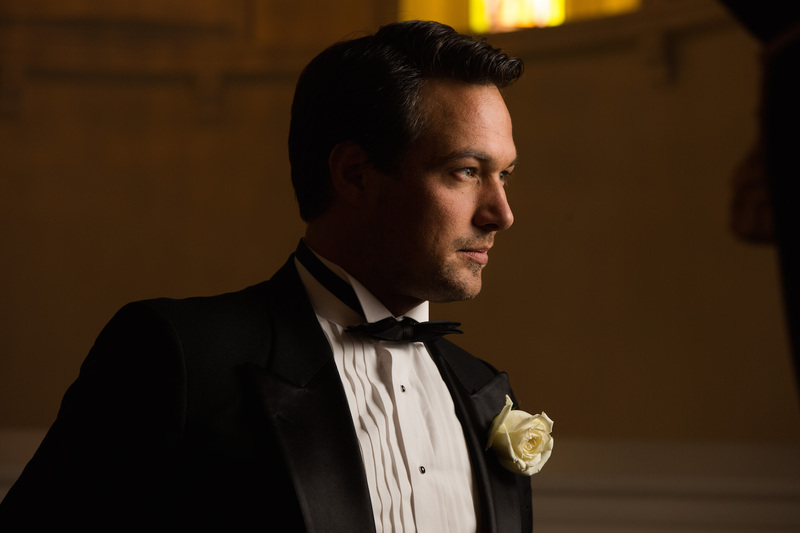 It can be placed close to your subjects for formal portraits, creating a soft wraparound light. This large umbrella can also be pulled back to create a vast spread of light for full-length shots of the wedding party or the bride’s dress. A nice thing about shooting with umbrellas of any size is that they are very travel-friendly and they setup in seconds. 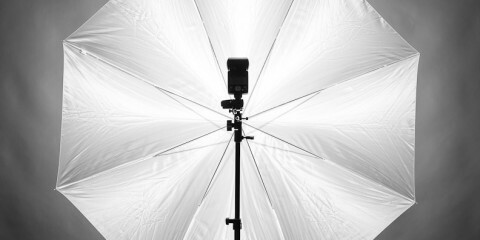 They can be used to modify both speedlites and studio strobes. Plus, they are extremely lightweight and can be moved around quite easily. And the best part: this 7′ Diffusion Umbrella cost only $100. 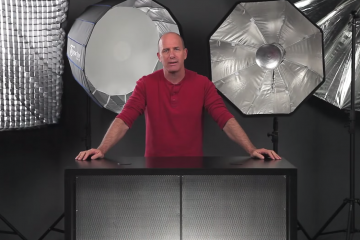 When this large light source isn’t filling in enough shadows, Scott keeps it simple and adds a reflector to the setup. 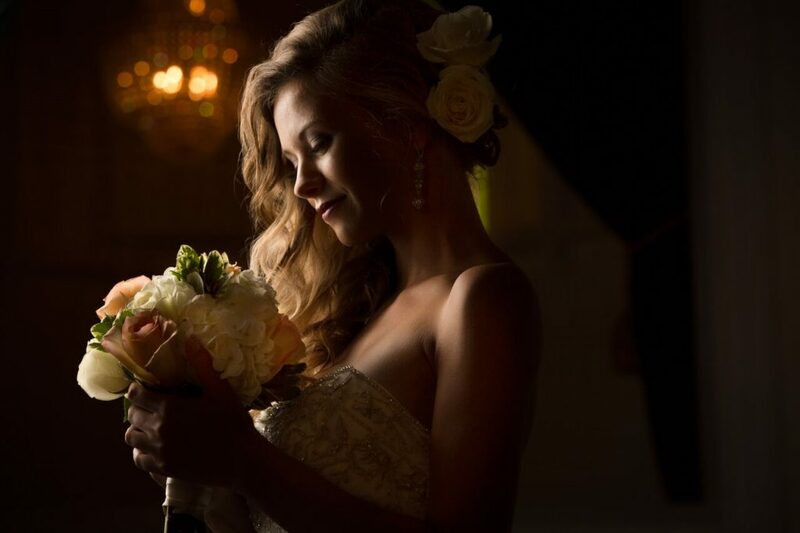 By bouncing the light from the umbrella back onto the bride, he creates a glamorous and flattering light. 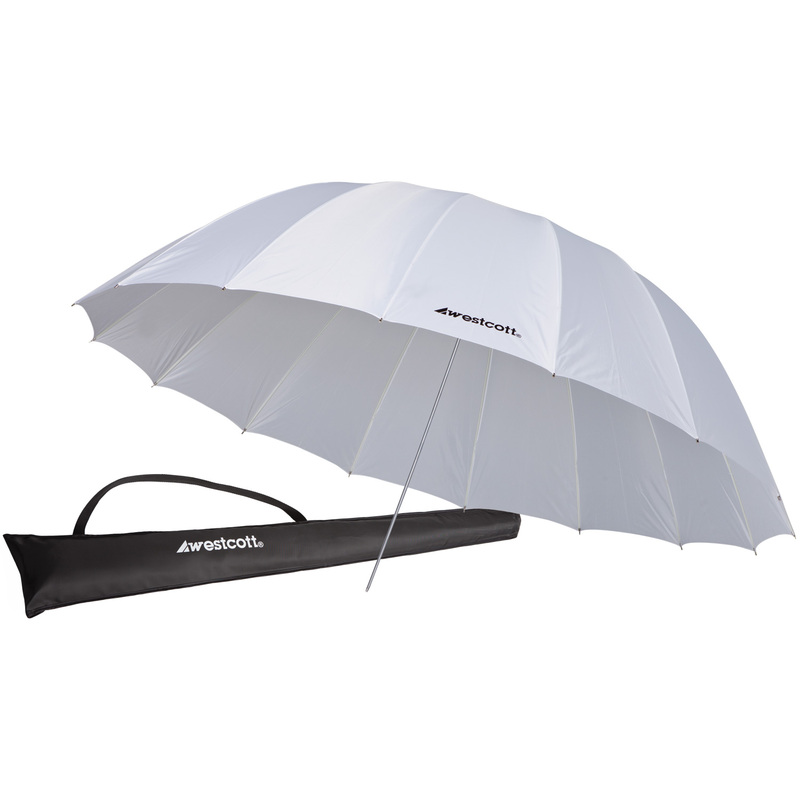 The umbrellas, reflectors are also extremely portable. They’re lightweight and fold down to 1/3 of their open size. Single reflector panels (like the one Scott uses here) are reversible, giving you the versatility of reflecting light with 2 different fabrics. In this case, Scott uses the silver side of his reflector to add bright, specular highlights. 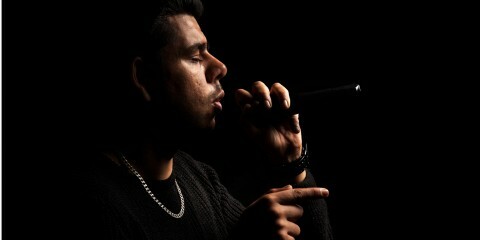 Reflector are also extremely affordable compared to other lighting gear. 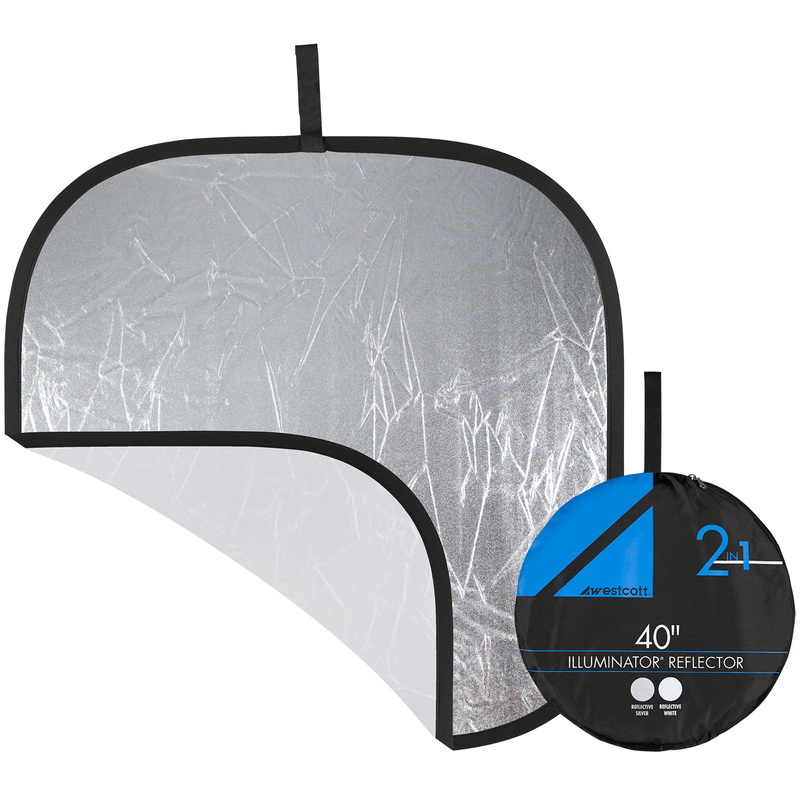 The 40-inch silver and white reflector in this video costs only $30 and it has a lifetime warranty. 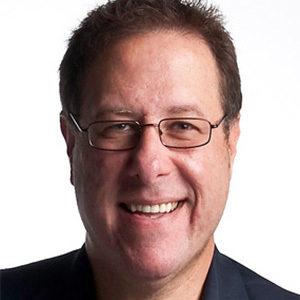 Scott is a trainer, editor, publisher, designer and photographer who is current President at the National Association of Photoshop Professionals (NAPP). He is an award-winning author of more than 50 books. Scott has been honored with the distinction of being the world's #1 best-selling author of all computer/technology books.